Well, I finally broke down and agreed that LB and I would take the train to Charlotte on Tuesday and come home Thursday. A nice quick visit to see Grandma before my maternity leave is up, without the hassle of driving and the expense of almost $4/gallon gas. And it was fine! It was fun, even!! LB slept for 2 of the 3 hours – and probably would have slept the whole time, but I woke her up to give her a bottle so she wouldn’t be starving when we arrived. She ate (no spit ups!) and then just looked around at the train and the people the rest of the time. Not a peep out of her. Well, maybe a little peep – but it was her normal “I’m happy so I’m going to squeak” peep, not an angry “I’m going to make everyone think you’re a terrible parent” peep. 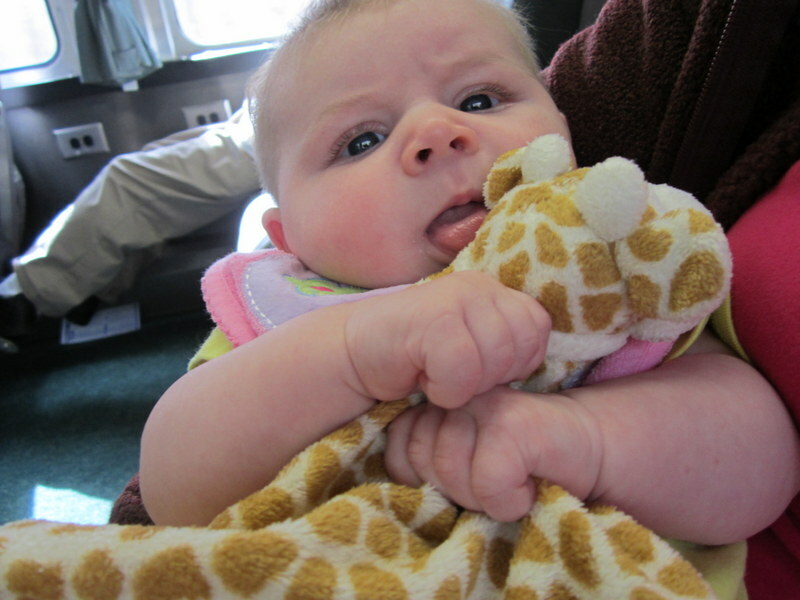 We even changed a dirty diaper on the train – both ways – without incident. The good thing about traveling with an infant (once you get over the fear of your child having a meltdown) is that it essentially turns you into a leper. No one wants to sit near you. So LB and I had a row of 2 seats to ourselves and it was awesome. Plenty of leg room, plenty of room for the ridiculous quantity of stuff I schlep around for her, no annoying small talk with strangers you’ll never see again. I have to say – taking the train was a very enjoyable experience and I really think that, until gas prices go waaaaay down, it makes sense for us. Now if I could just convince DB to join us next time, it would be perfect. 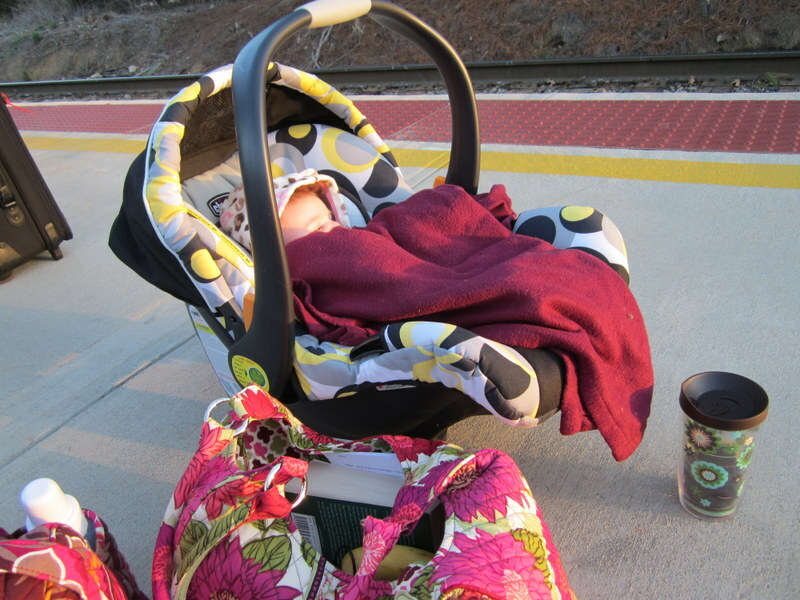 This entry was posted in Babies and tagged LB, Train by BrewsterMama. Bookmark the permalink.